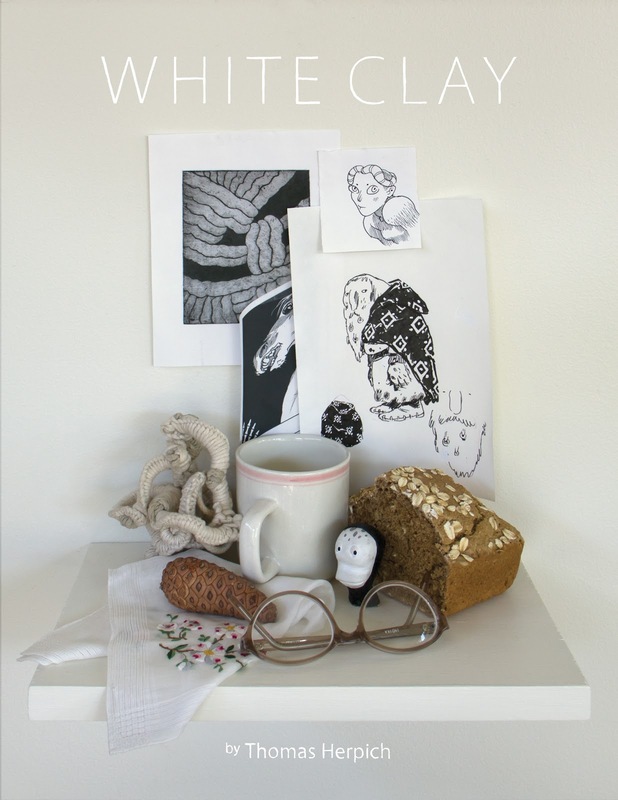 In late February, news circulated that White Clay will be Thomas Herpich’s first comics collection from AdHouse Books, but the artist has assured his fans on “Flour,” the blog he shares with his twin brother, Peter, that the new work is “definitely of a piece with Cusp and Gongwanadon,” two previous magazine-sized collections that were published by Jeff Mason’s Alternative Comics and are currently being distributed by AdHouse’s own AdDistro services. Herpich is a terrific cartoonist, illustrator, and all-round draftsman (or draughtsman, if you prefer) whose work in comics combines visual poetry and wry humour in equal measure. I purchased both of Herpich’s previous collections when they were first published, and I have already added White Clay to my autumn 2012 shopping list. 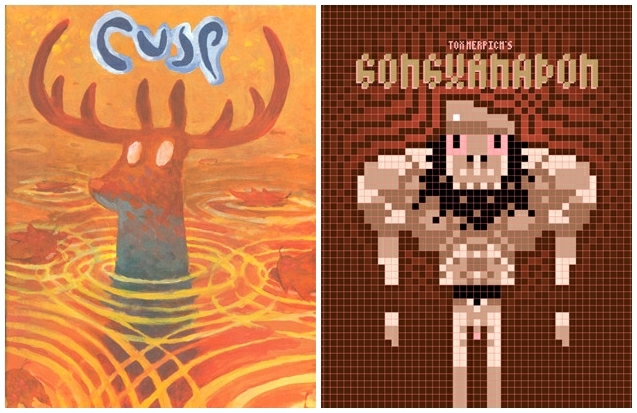 If you’d like to read some of Thomas Herpich’s comics before you buy, you should visit the artist’s website, where you’ll find a number of stories and excerpts from various publications, including Cusp and Gongwanadon. Enjoy! Meathaus Enterprises > Thomas Herpich — an online profile published in February 2009.